Members of the Office of Hawaiian Affairs Board of Trustees joined the Hawaiian Caucus of the Hawaiʻi State Legislature and members of the Native Hawaiian community on Wednesday to condemn the actions of extreme athletes on Mauna Kea in a recent video that has gone viral on social media. The incident involved professional athletes videotaping themselves skiing and snowboarding on Mauna Kea. Community leaders have called the actions irresponsible and disrespectful. Both the University of Hawaiʻi and the Office of Hawaiian Affairs have issued statements denouncing the skiing incident on the bare Maunakea volcanic cone. “The actions captured in the video are just another example of the state’s inability to prevent disrespectful behavior on the mountain’s sacred cultural landscape. 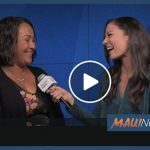 It is time for the state and UH to be held accountable for their longstanding and well-documented mismanagement of Mauna Kea,” OHA said in a statement. 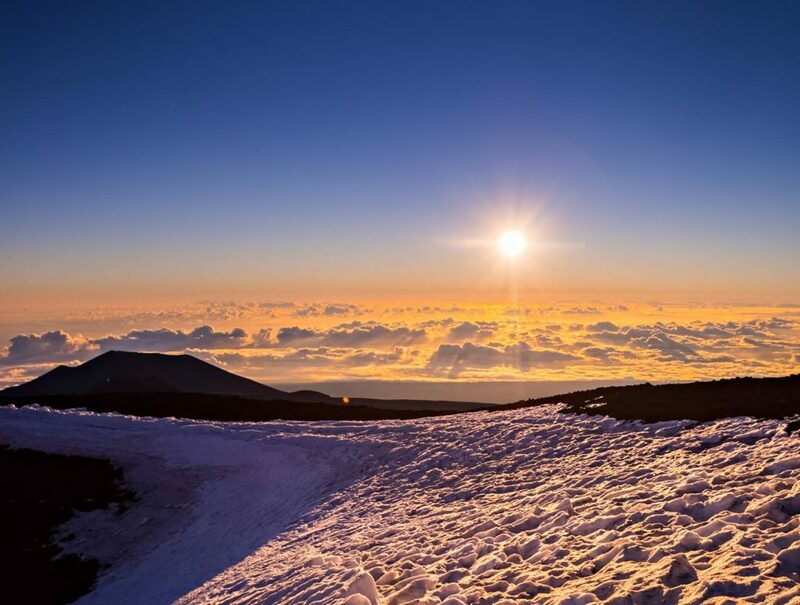 The University of Hawaiʻi also responded to the incident saying, the Office of Maunakea Management is “very disturbed” by the recent social media video that shows three individuals skiing and snowboarding on Puʻu Poliʻahu on Maunakea on University of Hawaiʻi managed lands. 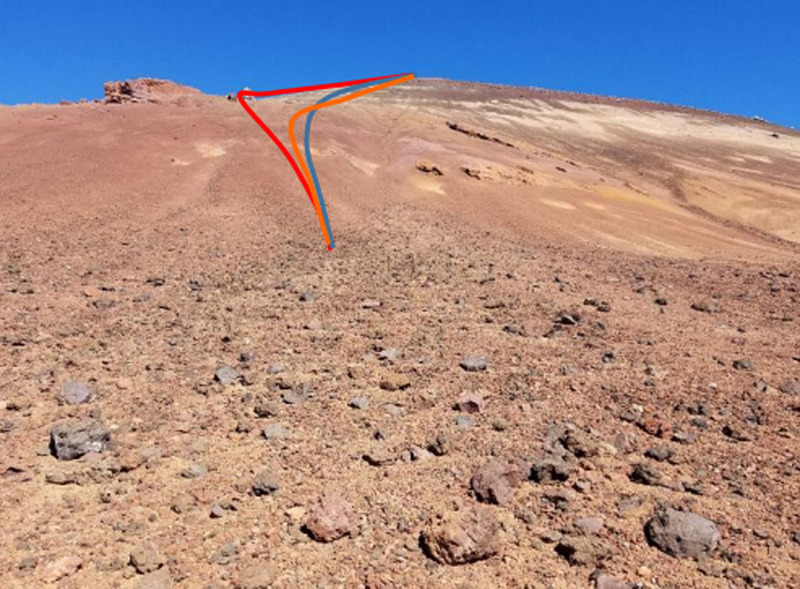 At 13,631 feet, “Puʻu Poliʻahu is a volcanic cone that is not only the second highest point on the mountain, but is also considered sacred to Native Hawaiians,” University administrators said. Nagata said the skiers and snowboarders never applied for a required film permit and that permission would have never been granted for such activities. “Beyond the cultural disrespect and because there was no snow on the mountain at the time of the incident, the individuals also defaced and scarred a geological formation and may have damaged Wēkiu bug habitat,” administrators said. Wēkiu bugs, first discovered in 1979, are only found on the summit. OMKM administrators say they urge everyone to treat the mountain with respect. 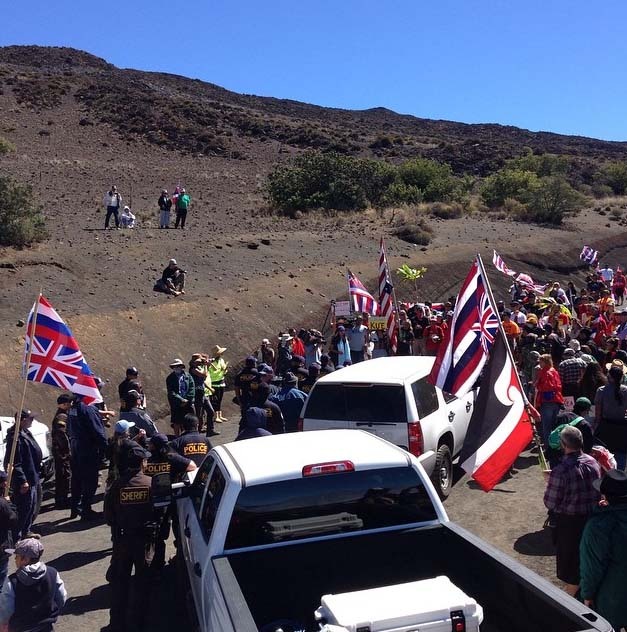 According to the office, Maunakea Rangers provide daily oversight of UH managed lands to protect resources and public safety and do not allow visitors to hike off of designated trails. “This incident happened on the southside of the Puʻu Poliʻahu, hidden from the view of the rangers on duty. 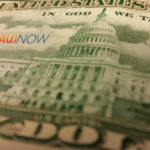 Unfortunately, the university is currently without authority to issue fines or pursue civil remedies, but that is expected to change with the formulation of new administrative rules for public and commercial activities,” UH administrators said. UH administrators say the rules would provide the university with authority to directly address this incident. “For instance, under the current draft, damaging or disturbing any natural feature, resource, geological, paleontological features and/or historic or prehistoric property or remains would be prohibited. Violators would be subject to immediate expulsion, administrative fines and/or a monetary assessment to recover the cost of restoration. Currently, none of these remedies exist since the state removed these lands from Forest Reserve System in 1968,” according to the University of Hawaiʻi. UH is currently engaged in informal consultation on the current draft rules. After the second round of public hearings, the draft may be updated again and subject to more hearings, or it may go to the governor for adoption. “The public’s constructive engagement in this rulemaking process is welcomed and encouraged,” said UH administrators.